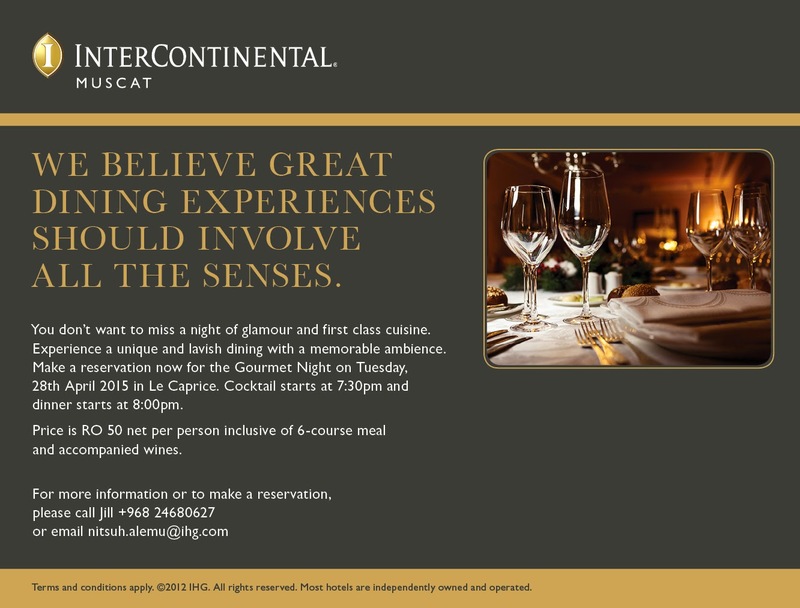 Coming up this Tuesday night (28th April) is the next Gourmet night at the InterContinental Muscat. These nights are always great and feature a fabulous 6 course meal and paired wines to go with it. This gourmet night is being held in Le Caprice and costs RO 50 (including taxes) per person.